These stylish and practical calculators have an aluminum case with a high gloss finish, offering a touch of glamour to these affordable desk accessories. The large, 10 digit dot matrix display makes them easy to use, while the durable acrylic keys ensure that these quality products will last for years. 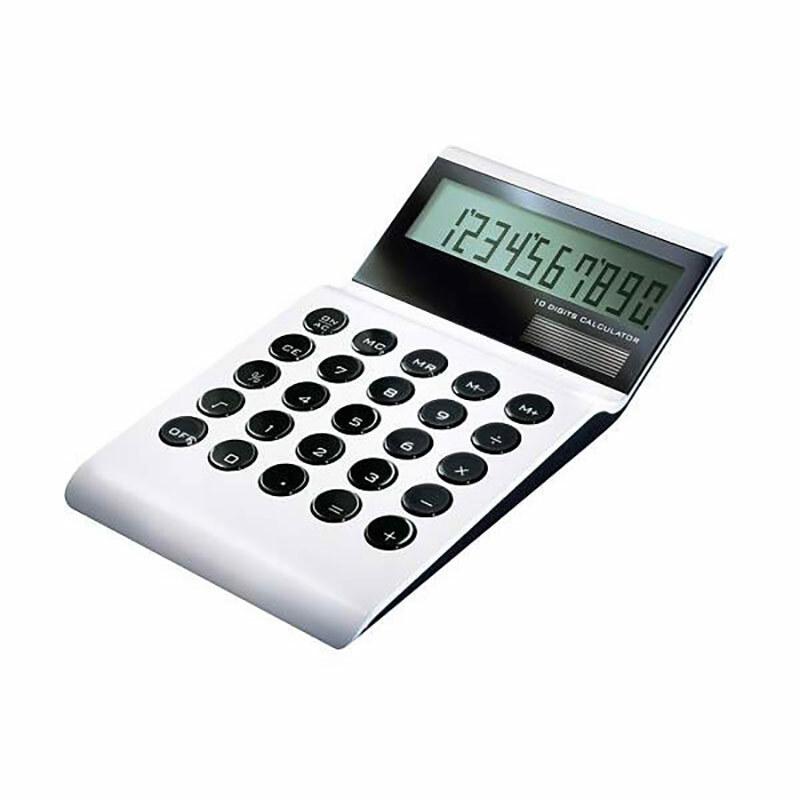 They can be customised by engraving at the foot of the calculator face, and these desktop calculators are offered with free text and logo engraving. Ideal as corporate gifts or branded merchandise items, these dual power calculators are sure to impress clients and prospects.